The internet waits for no one. That’s why we have ramped up our Digital Marketing services here at Left Coast in our efforts to really be your one-stop-shop for everything your brand needs. Plus, we’re pretty fun to have a beer with too…what more could you ask for? From template design to content creation and copywriting, our creative team of designers and copywriters and here to get your email campaigns on schedule and have them start working FOR you. We’re in the age of automation, are we not? Bring on the robots! There are a lot of ways you can spend your advertising dollars. Some of them work…most of them don’t get you the results you imagined. That’s why as an agency, we’ve added Native Advertising to our list of services, because it is the top advertising format that delivers real results. What exactly is Native Advertising? We’re glad you asked. Today’s buyers are trained to ignore ads that “look like ads.” As a result, Native Advertising is designed to be an ad that is designed to match the look, feel and context of the site where it is being viewed.  Left Coast has partnered with a premium media wholesaler that serves up top-shelf advertising buys. Paired with custom content created to bring your brand to life, we bring impressions and clicks to campaigns designed to attract new buyers, build your email lists, and drive traffic to your site. Let us show you how we’re making Native Advertise easy like Sunday morning with an intro call to learn more. Drop us a line. You might have seen the news as we rolled out our newest LCM partnership with Review Anchor. Managing your online reputation can make or break your business. That’s why we are partnering with this brilliant platform to manage the reviews for your business in the most user-friendly and cost-effective way we’ve ever seen. Review Anchor allows customers to submit their reviews and allows you as a business to manage the best and brightest reviews to the top. You have the opportunity to filter out “bad” reviews and engage customers who had a less-than-desirable experience directly. Bring on those 5 Star reviews, baby, we’re here to play! At Left Coast, we are all about building blocks (it was all that LEGO training we did as kids) and setting your brand up for success starts at the foundation. In this case, that foundation for your brand online is an optimized website with clean, user-friendly design. Our Web Designers specialize in Wordpress and Squarespace websites to give you a modern, professional website update. SEO website analysis: let us take a look underneath the hood of your site to make it even easier for new customers to find you online. Website ADA Compliance: As of January 2018, laws governing online compliance were set into place that requires your website to be perceivable, operable, understandable and robust to meet ADA Standards. Is your site up to par? We can help. If you’re not sure where to start, don’t worry…let us be your Guide Dog for a bright shiny future for your online brand!